I loved Beatrix Potter growing up. My first plate set was Peter Rabbit, and Miss Potter has always held a special spot in my heart. Her books make me feel very nostalgic. We also live close to the iconic location whereby The Tailor of Gloucester was set. 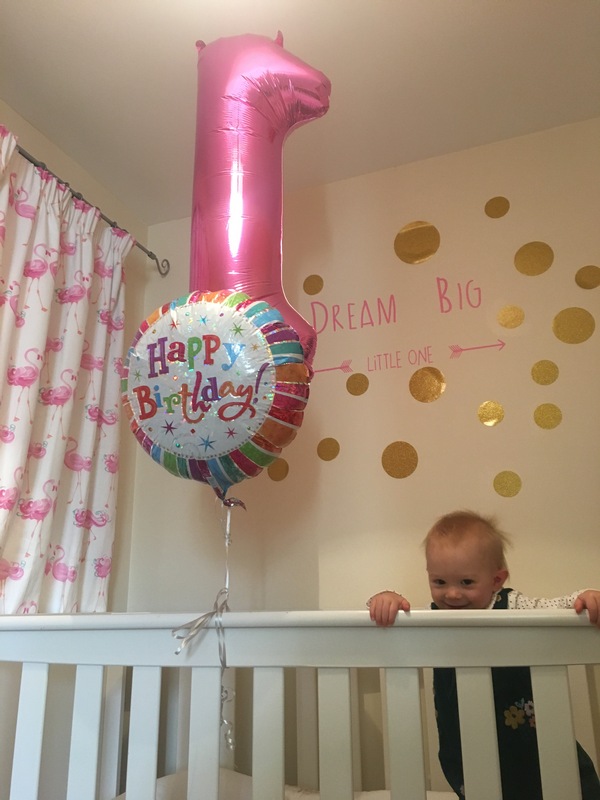 I toyed for a while of which theme to give Harper’s first birthday, and when Peter Rabbit dawned on me I knew instantly it was perfect! 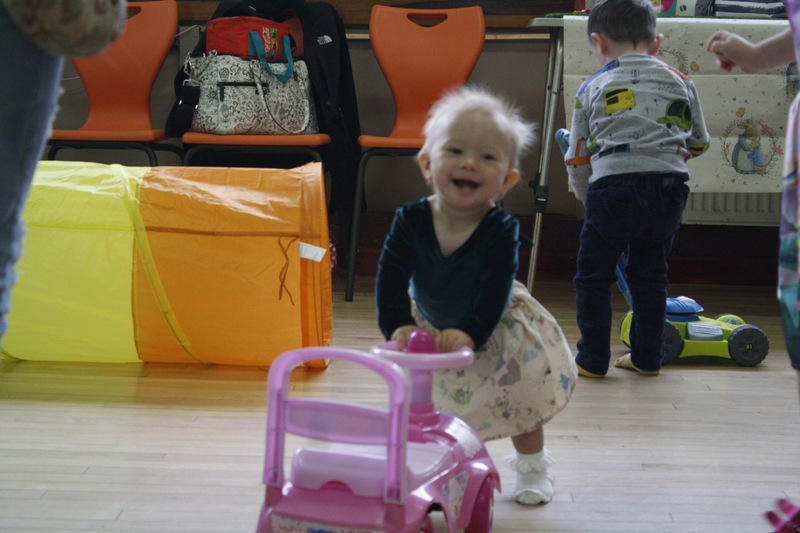 We settled on our local village hall as our house is pretty small, but also because I didn’t want all the mess – I knew if it was in a hired space we would have no choice but to clear it up there and then! 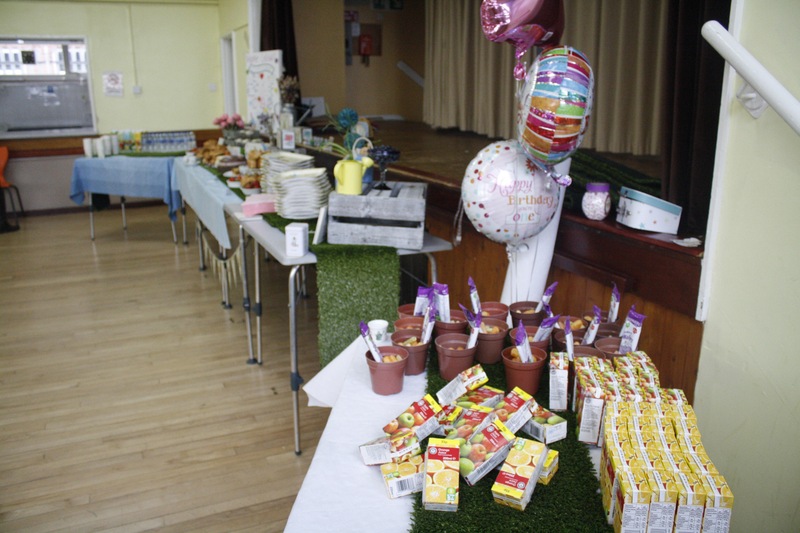 We didn’t have a massive budget for her party, so whilst I wanted it to be special I also wanted to keep costs to a minimum. That being said, we went a little wild with the ‘guest list’. We decided that as we were hiring a hall we would just invite everyone that had played a role in the first year of our daughters life, and I am so glad we did. 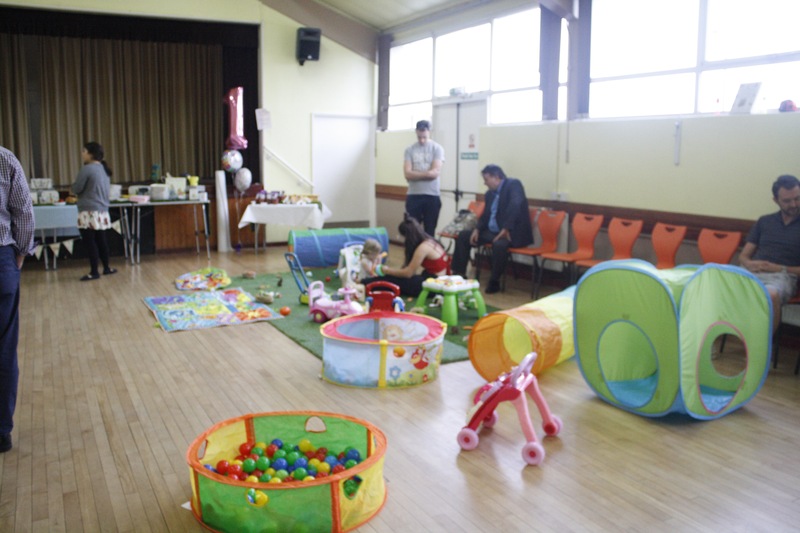 I looked at hiring soft play, but I decided to give it a go myself – as the babies were only young (14 one year olds, 3 two year olds and 1 four year old) I figured they wouldn’t need to much. 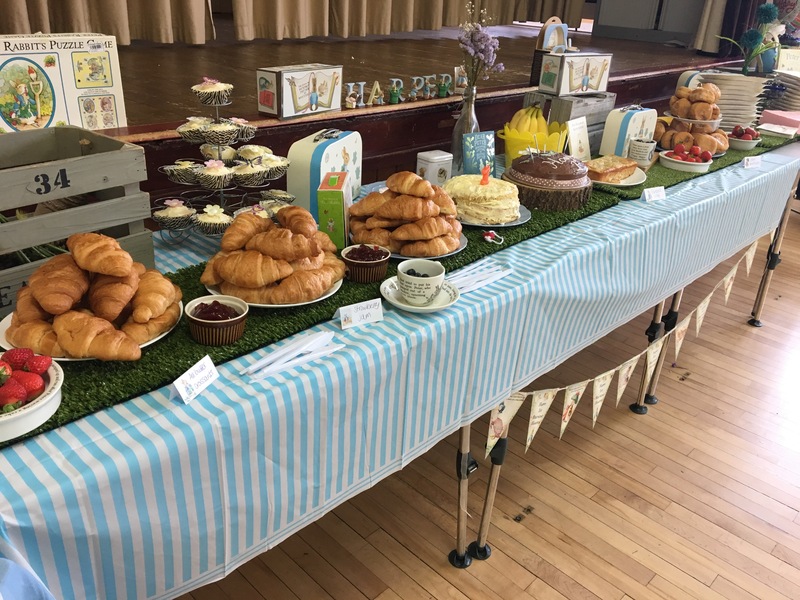 I borrowed tunnels, ball pits, walkers and activity tables from friends and brought any of our toys and books that matched the Peter Rabbit / garden theme. My grandmother also knitted a bunch of carrots. We set the ‘play area’ out on a large square of astro turf to look like Mr McGregor’s Garden, and also had a sign saying ‘Mr McGregor’s Garden’ that I ordered in a pack from eBay. 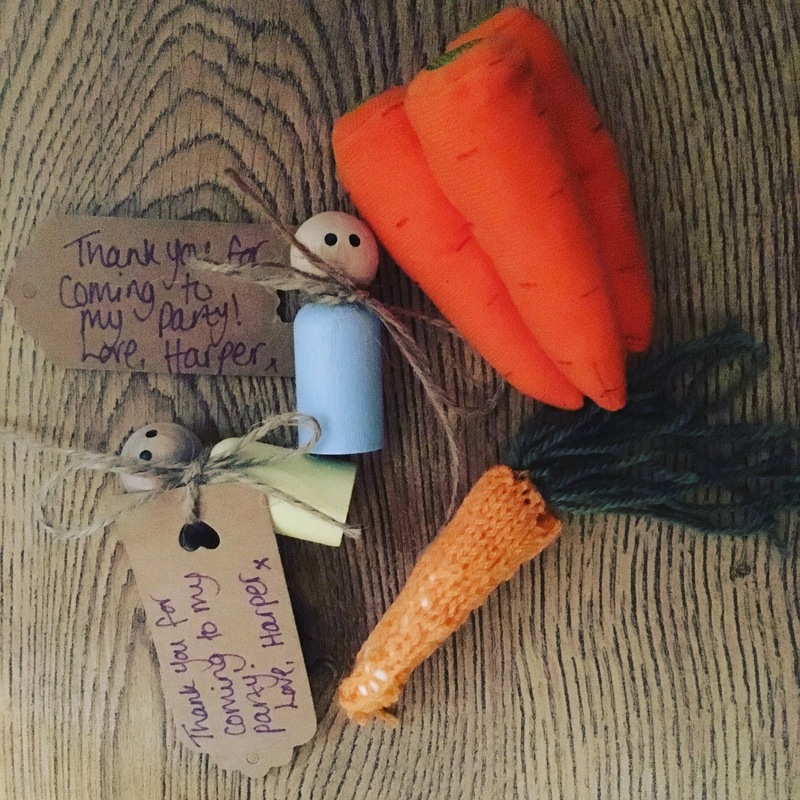 We decided on Peg Dolls as the favours and I ordered these from Along Came Ollie who did them in pastel colours to match the theme. 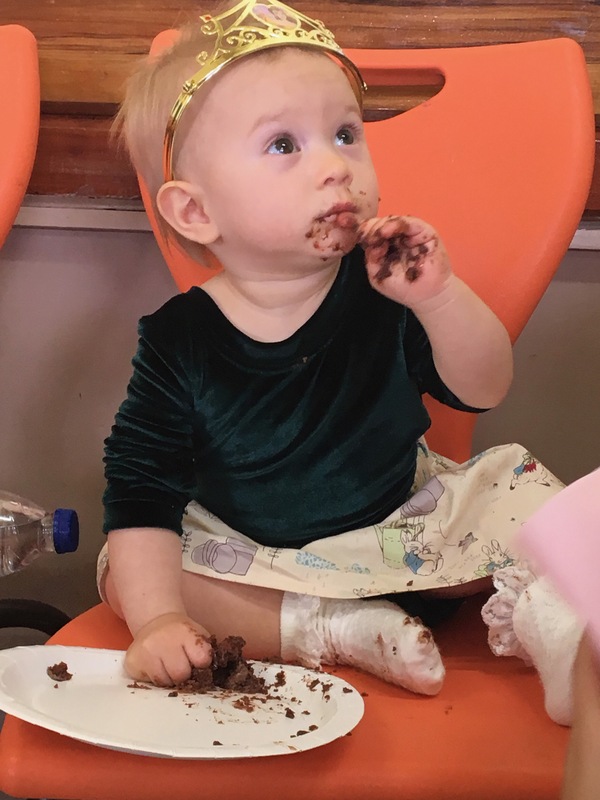 Harper wore a Peter Rabbit skirt from Made by Me and a beautiful velvet bodysuit from Mini Megan Turner, two gems we found on Instagram. I used strips of astroturf as runners on the tables and then laid the tables with crates, flowers, Peter Rabbit dinnerware, and themed toys. 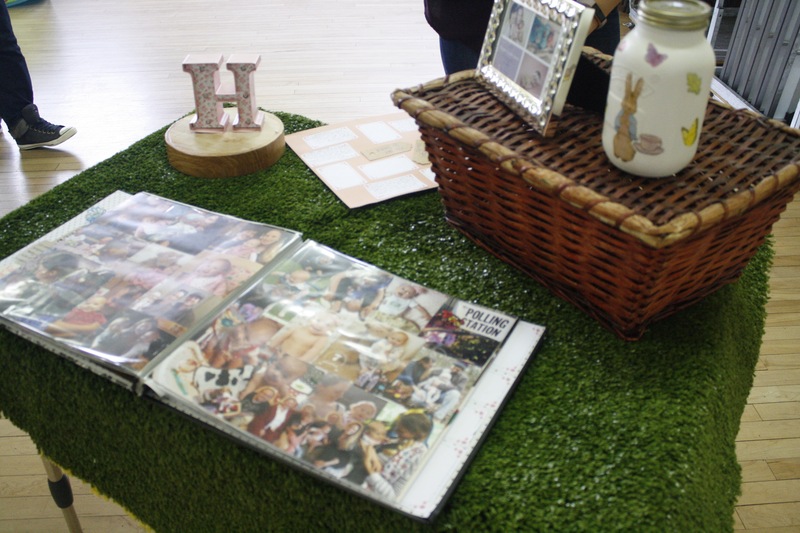 I also have a lovely kilner jar from Rylestyle Craft that looked lovely on the entrance table. As the party started at 10am we decided ona breakfast theme; croissants, doughnuts, blueberries, strawberries and bananas. We also had bottles of water and juice boxes, along with tea and coffee. I made up snack pots too for the little ones. I love crafting things, even if I am not necessarily great at it! I made Harper a Milestones Scrapbook to snapshot where she is now, but also so friends and family could learn a little more about her. 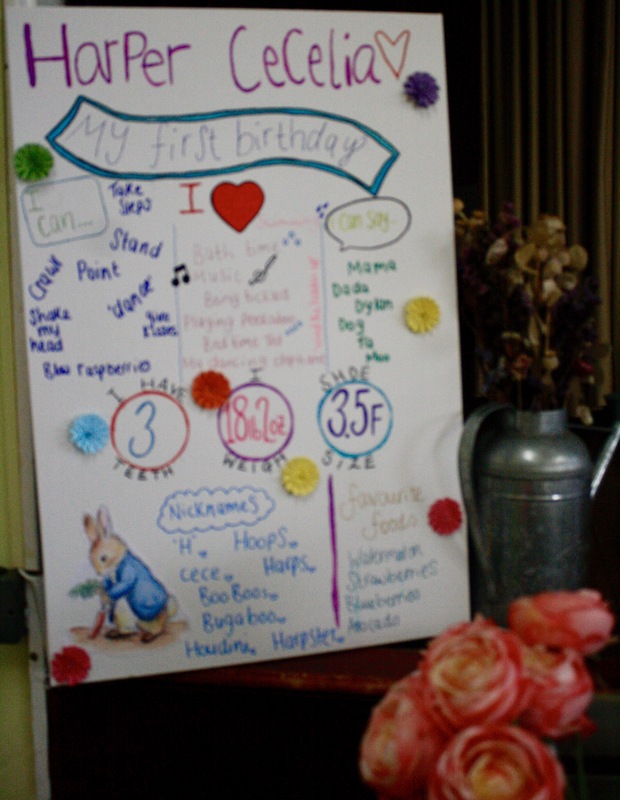 I also made a scrapbook of her first year and left pages in the back for friends and family to leave comments. In my head I want to gift this to her at her 18th birthday, but I am not sure my organisation skills will match this notion and I am sure it will just be kept on our bookshelf! I also made a milestone board on a canvas, showing guests information about Harper like her weight and her favourite foods.